Cleaning services such as janitorial, window cleaning, carpet and upholstery, and even commercial laundries depend on providing a high level of service to its clients. Maintenance services including waste collection and pest control strive to attain an efficient and stable delivery of its services. 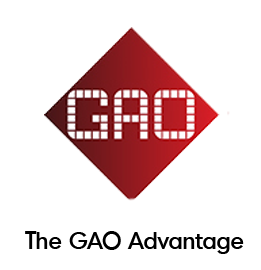 GAO RFID provides a suite of solutions that help to track assets, improve operational efficiency, and promote accountability. This helps operators in the cleaning and maintenance industries to raise the level of service they deliver to their clients. If your organization is a janitorial, window cleaning, carpet and upholstery cleaning, commercial laundry, waste collection, or pest control service, you will share certain challenges that exist in the cleaning and maintenance industries. From booms and carriages to trucks, large and expensive equipment are used to provide cleaning and maintenance services. While asset management is a key priority, it can be a challenge to keep track of who is using this equipment, where it has been moved to, or when it is due for service. By outfitting equipment with RFID tags, the tracking and maintenance monitoring of equipment can be automated to provide instant visibility of equipment utilization. For example, GAO Tools & Equipment system with our medium-range RFID readers(range 10+M), Medium range Tags, UHF Antenna, and GAO asset tracking software can be used for tracking and monitoring cleaning/maintenance equipment in the facility. GAO Asset tracking system also allows monitoring assets to provide instant visibility of equipment. When providing cleaning and maintenance services, a vast array of tools need to be used in order to complete the job. To know how your consumables are being used and where laundry items, bins, containers, or waste carts are located will allow a cost-effective approach to inventory management. Attaching RFID tags to consumables and tools enables up-to-the-minute checks on item inventory levels and locations to keep operating costs lean. For example, GAO Medium range RFID tags and Laundry RFID tags can be attached to consumables and tools to enable up-to-the-minute checks on item inventory levels and locations to keep operating costs lean. GAO RFID offers wide selection laundry RFID tags including ultra-rugged, small or flexible. Our laundry RFID tags are ideal for various laundry items. Being a part of two highly labor-intensive sectors, it is critical for cleaning and maintenance organizations to have a firm grasp of labor performance and operations efficiencies. From simple processes such as employee attendance verification to the much more complex needs of knowing what bins are dumped during waste collection rounds or the hands-free scanning of termite detection stations, the efficiency of personnel and their use of time is crucial to business performance. RFID technology enables the tracking of personnel movement throughout the workday and automates tasks to ensure accountability and productivity. Everything can be captured to provide data for workflow analysis to improve processes and optimize routes. GAO People tracking system with our medium range RFID readers, people locating RFID tags, UHF Antenna and GAO People tracking software is ideal for tracking of personnel and automating tasks. GAO people tracking system provides data for workflow analysis to improve processes and optimize routes thus ensuring accountability and productivity. Controlling who can access service areas and expensive equipment is necessary when deploying staff to provide cleaning and maintenance services. Automating the process increases efficiency and provides business owners with a peace of mind knowing that only authorized personnel is permitted access. RFID badges give only authorized personnel access to zones and equipment in your business to ensure a safe and secure environment. You no longer need physical keys or sign in/out sheets to grant access and monitor activity. For example, GAO RFID Access control system with our RFID badges, RFID Portals/reader, HF or LF antenna, and access control software is great for granting/restricting automated access to zones and specialized equipment in your business. GAO RFID access control system ensures a safe and secure work environment for everyone. It also eliminates the need for physical keys or signs in/out sheets to grant access and monitor activities.